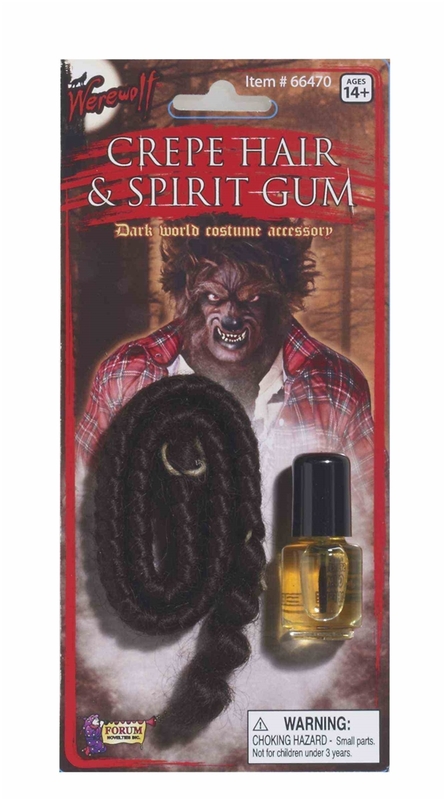 Transform yourself into a hairy beast with this Werewolf Crepe Hair & Spirit Gum Set. The 2-piece set includes brown crepe hair and spirit gum adhesive. Great for adding detail, this facial hair accessory will bring your werewolf, animal, or caveman costume to life.